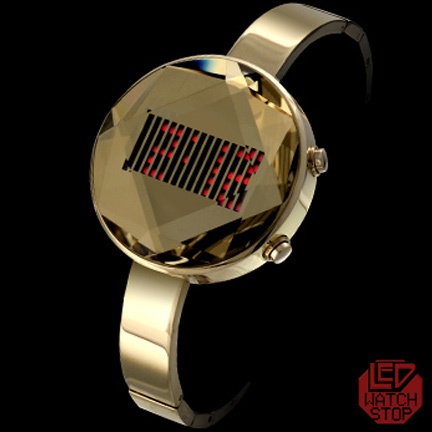 A stunning Ladies LED watch with elegant styling and very unique raised cut glass lens over a dot matrix LED display (push button to turn on...auto of in 10 seconds). 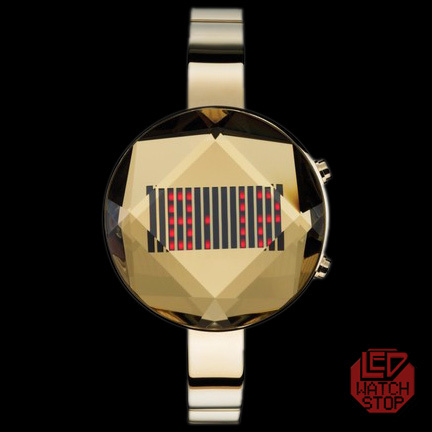 When the watch is shifted in the light...the lens refracts and sparkles like a jewel. Featuring surgical grade stainless steel case and bracelet with gold finish and double deploy clasp. 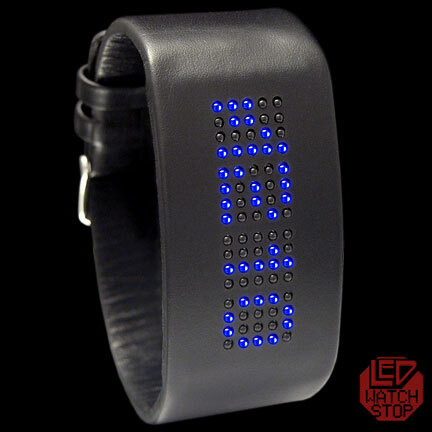 This STORM Watch is a beautiful fashion accessory that is certain to create attention and stimulate conversation.